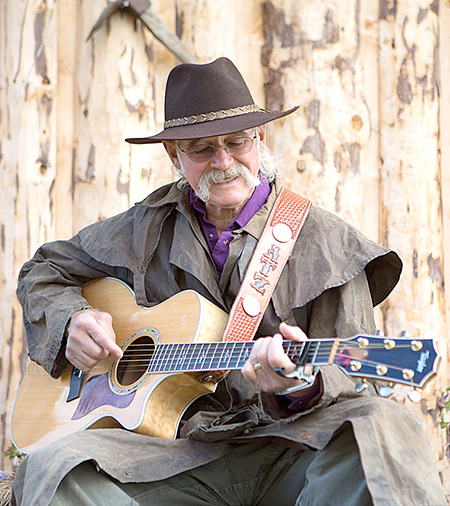 Atz Kilcher will perform at the Massena mall on Aug. 11. MASSENA – The St. Lawrence Centre mall will stage Northern Experience day Aug. 11 from 11 a.m.-5 p.m. with a full day of food, entertainment, music and a bounce house. The day will culminate with a concert by singer-songwriter and reality television star Atz Kilcher at 7 p.m. There will also be vendors, animal riders and exhibits and performances of ballet, hip hop, tap, and jazz by young dancers from The Studio, the newest tenant in the mall. In addition to Wendy’s, Make it Maple, and Divalissa’s Popcorn located in the food court, Hot Tamale, Lulu's Smokehouse, and Phil and Jackie's Fudge will be on hand with their delicious offerings. Elite Events by Lenny will serve ice cream. Exhibits will include Massena’s Nicandri Nature Center with their turtles, the Almanzo Wilder Homestead in Malone, Deb Christy with the St. Lawrence County Recreational Trails Association, and the Akwesasne Mohawk Casino. Spencer Thew, Iditarod veteran, will also present information about his Call of the Wild Sled Dog Tours in South Colton. There will be a number of demonstrations including calligraphy by Martha Grow, woodburning by Norm Lazore; and renowned angler Don Meissner, with information about fishing in our region. The day will culminate with the Atz Kilcher concert at 7 p.m. Kilcher is a singer, songwriter, storyteller, and star of the popular program Alaska: The Last Frontier and also the father of pop singer, Jewel. Northern Experience day and the Atz Kilcher concert are sponsored by North Country Showcase and St. Lawrence Centre. Concert tickets are available at North Country Showcase, St. Lawrence Centre, Route 37, Massena, 315-705-2170, and online at www.NorthCountryShowcase.com. The price of general admission to the concert is $35 if purchased in advance, or $45 at the door.